At last, summer has arrived and what better way to enjoy it than spending time outdoors, soaking up the rays with our furry friends. However, you and your pet are not the only ones who will be enjoying the glorious summer weather… In the UK, our summertime falls during the heart of the ‘tick season’, which runs from March through to October. This, combined, with the increased time that our pets will be spending outdoors, during the warmer months, means that our pets (and us!) are more at risk of being bitten by a tick. Why are ticks such a worry? Ticks, as well as causing irritation from their bites, can also be carriers of bacteria, viruses and protozoa. These infectious nasties can be passed onto our pets (and sometimes us!) via their saliva, as they feed on their victim’s blood. This puts our pets at risk of contracting serious tick-borne diseases, such as Lyme disease and also babesiosis. How can I keep my pet safe from ticks this summer? During the summer, it’s vital that you stay up-to-date with your pet’s parasite treatments and apply a FRONTLINE® flea and tick treatment regularly. 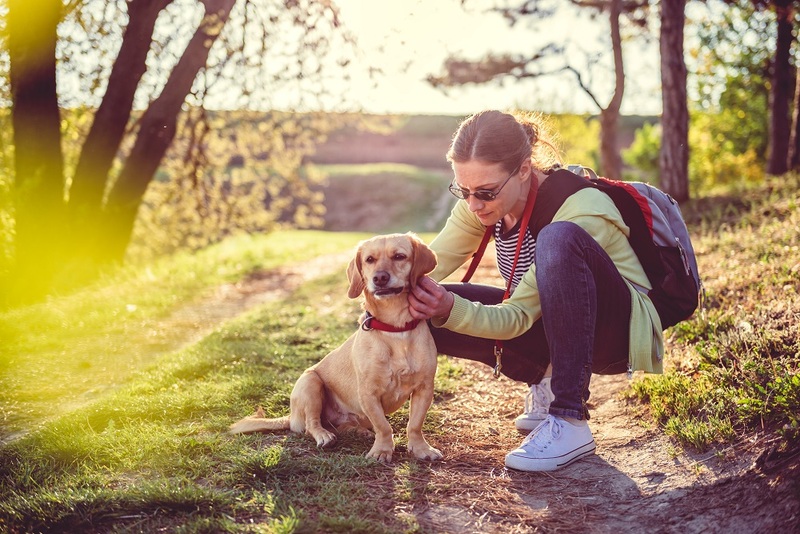 If you are going to be holidaying in an area that is high risk for ticks (see above) or if your pet will be spending a lot of time outdoors, then you will need to check them over regularly for ticks. The sooner you spot ticks, the sooner you can remove them and this significantly reduces the risk of any infections that they may be carrying being passed on to your pet. Remember, removal alone is not enough to keep your pet safe, as un-engorged or young ticks can be difficult to spot, so you should always treat your pet regularly to kill any ticks quickly. What’s the safest way to remove ticks from my pet? If you do spot a tick on your cat or dog, then you need to remove it ASAP. The safest and easiest way to do this is to use a tick remover such as the FRONTLINE Pet Care Tick Remover, and gently twist the tick out (always wear gloves when doing this to keep yourself safe too). Never apply alcohol, oil, heat, petroleum jelly or squeeze a tick, as this increases the risk of them passing on any infections they may be carrying to your pet. So, stay safe this summer and keep your pet protected from ticks and their diseases, by applying a FRONTLINE® flea and tick treatment regularly. FRONTLINE Plus contains fipronil and (S)-methoprene. UK: NFA-VPS. FRONTLINE Spot On contains fipronil. UK: AVM-GSL. Further information available in the SPC or from Merial Animal Health Ltd, RG12 8YS, UK. FRONTLINE is a registered trademark of Merial. ©2018 Merial Animal Health Ltd. All rights reserved. Merial is now part of the Boehringer Ingelheim Group of Companies. Date of preparation: Jun 2018. PE2591. Use Medicines Responsibly.